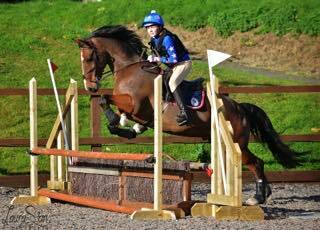 Open to Teams of 3 or 4 and Individuals for all classes, also Flint & Denbigh Pony Club & Denbigh & Flint Society members will also be able to enter at the discounted rate. Our event will consist of 4 classes with a ranging from 65cm to 95cm in height. The course will be in two phases, the first being a set of show jumps with 8 to 10 fences and the second phase will be rustic working hunter fences built to resemble cross country fences, with about 8 to 10 fences again. All fences will be knock-down. Please wait for the judge’s buzzer before you start the first phase, on completion of the first phase you continue on to the second phase. Rosettes will be awarded to sixth place. Teams shall be made up of 3 or 4 riders, the best 3 scores to count. All team members to compete in the same class. Team riders automatically count as individuals. The lowest cumulative score with the fastest time will win. Horse and Rider combination may enter a maximum of two classes. Horses must be 4 years and over to compete, Riders any age. Lead reins welcome in the 1st class. The Mini Novice and Novice results will be split into Juniors (Under 18’s) and Seniors. Please come and support our new event aimed at all ages, from novice to open horses or ponies. I would like to thank everyone that took part on the day, and what a lovely day it was to with the sun shining on us all day.